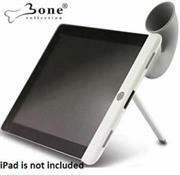 The Bone Collection makes sharing your music, videos and applications simple with the unique and effective Horn Stand for iPad2. Using the principle of the bugle, concentrating the voice and direct the conduction direction in order to reach the effect of increasing the volume. Simply stand your iPad2 up in the base of the Horn Stand and play. 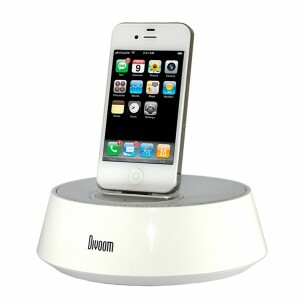 It will amplify your tunes, videos, games, even your alarm clock up to 15dB without the use of batteries or electronics. it is absolutely environmental friendly. 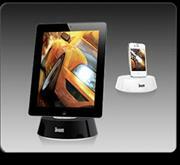 •The stand can hold your iPad 2 in both Portrait and Landscape positions. •The inner material is flexible TPU, which is made to fit your iPad 2 perfectly and prevents it from scratch. •TPR material- pliable and abrasion-resistant. •PC material- heat and impact resistant. 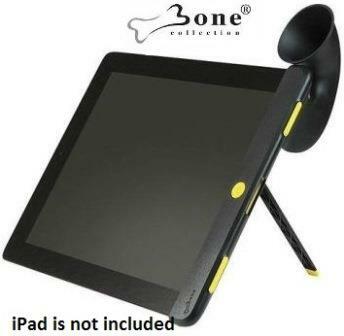 The Bone Collection Bone Link II provides USB connectivity to your iPod classic, mini, Nano, touch or iPhone. It's just 7.9 cm long from tip-to-tip, so it's great when you're on the move (like an iPod owner ought to be). 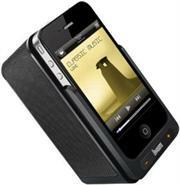 Recharge your iPod or iPhone or transfer files with compatible USB computers. iPod and iPhone devices not included.-Please Note that cable cannot be used on the latest generation of Apple iPhone series that uses the lightning connector. • Flexible & Bendable design, the cord is tiny, easy to carry, space saving and very easy to store. • Flexible Design-Through the characteristics of the TPE, the core be bent any time. • It has a small design, easy to carry and saves space, the cord is short and is easy to store. 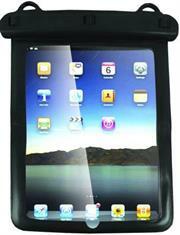 • Made of TPE material, pliable and abrasion-resistant. 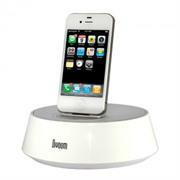 • Flexible & Bendable design - It is tiny design, easy to carry and space saving, the cord is short and is easy to store.